Most people have heard the expression “An apple a day keeps the doctor away.” Most people, however, do not know what makes apples so healthy and that like apples – wine, green tea and cocoa are rich in flavanol antioxidant super-nutrients. Flavanols are naturally occurring plant based antioxidants that have been shown to improve the circulation of oxygen and nutrients throughout the body. And at high concentrations, flavanols have been shown to benefit brain function, heart health and skin wellness. 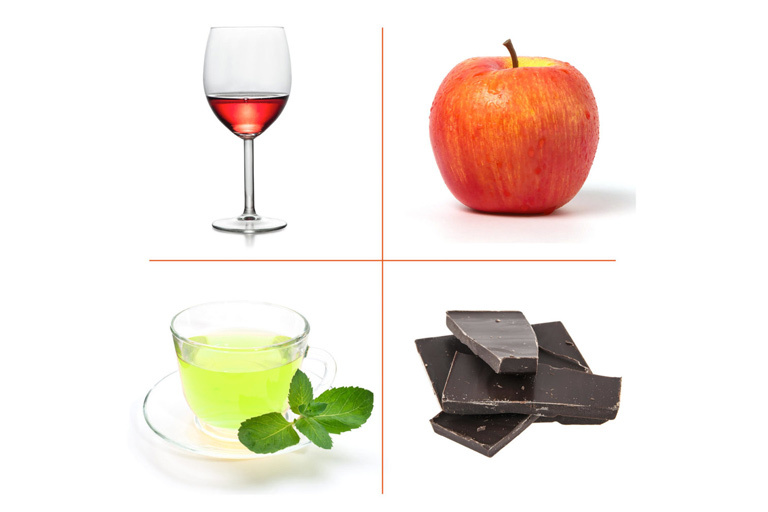 Four foods that are high in flavanols are some of our most favorite foods: red wine, apples, green tea and yes, chocolate! Here is how they stack up. 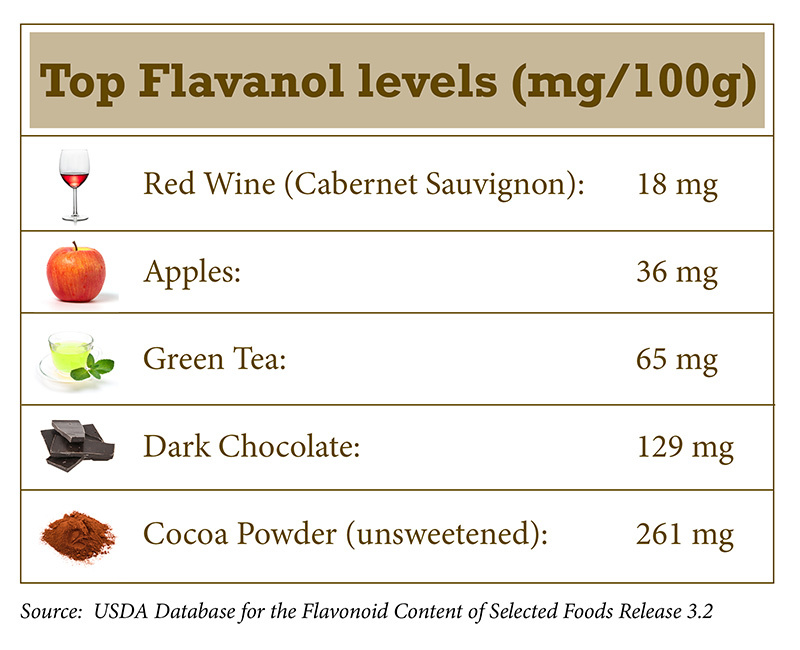 Flavanol levels can also vary within each food type so, for example, a gala apple will not have the same amount of flavanols as a red delicious apple. This is particularly true of cocoa and chocolate where bean selection and differences in processing can lead up to a tenfold difference in flavanol concentration. So tell your friends and family that an apple a day is great but don’t forget the dark chocolate!